Smartphone screens are getting bigger and brighter every year. It’s a nice change of pace, but how do you keep prying eyes away from your beautifully clear iPhone screen? Back in 2015, 3M and Ponemon teamed up to study “visual hacking.” This is a simple method of hacking where nefarious folks obtain usernames, passwords, and other sensitive information by watching people’s computer screens from across the room. It turns out that the low-tech method of “visual hacking” is surprisingly effective, and visual hackers can expect their beady eyes to obtain sensitive information with a 91% success rate. Now, before you say “phones and laptops aren’t the same thing, I don’t need a privacy filter on my iPhone,” take a second to hear me out. You type everything on your phone using an on-screen keyboard. You use your phone in public every day. Phones are communication devices, and any type of private communication (especially email) carries sensitive information. If you’re using a work phone, the tiniest details on your screen could compromise a lot of peoples’ security. Don’t worry too much about the creepy haiku’s and Netflix login information that you’ve texted to significant others in the middle of a busy Dunkin Donuts. That’s in the past, and we’re worried about the future. Privacy filters are a great way to protect your laptop screen from prying eyes, and phones are no different. There are plenty of high-quality screen protectors that have built-in privacy filters, you just have to find one that fits your iPhone. 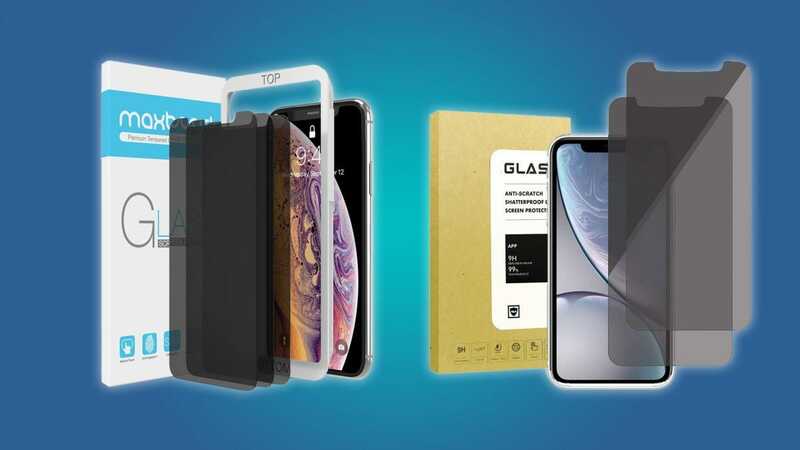 Lucky for you, we’ve taken the time to find the best privacy screen protectors for each (usable) iPhone on the market. If you don’t have a screen protector on your expensive iPhone X or XS, then you need to reflect on the decisions that you’ve made up to this point. You should probably grab at least one screen protector, if not more. And since the X has a high-contrast, easy to read OLED screen, you should probably make sure that your screen protector has a built-in privacy filter. 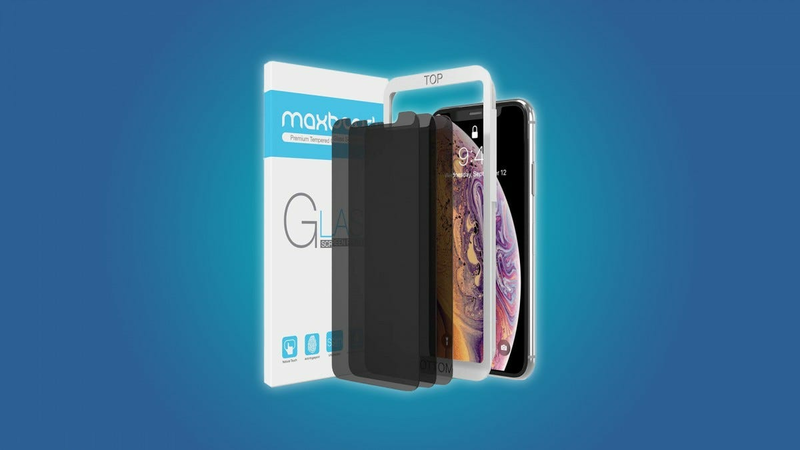 Luckily, Maxboost sells 3-packs of powerful tempered glass screen protectors for just $12. These screen protectors have built-in privacy filters that will keep any nosy nerds from stealing your credit card info when you decide to pay your bills at the last minute in a Denny’s lobby. 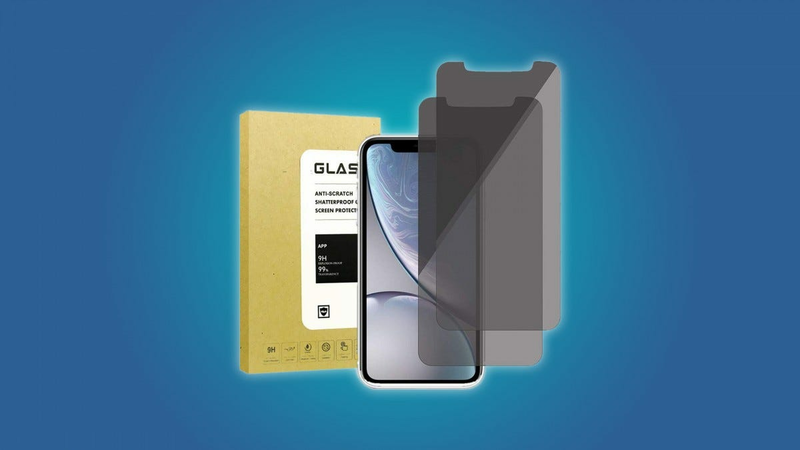 The XR may not be as expensive as the X or the XS, but it still deserves the protection of a nice, tempered glass screen protector. Why not grab one with a built-in privacy filter? Hartser sells 2-packs of privacy screen protectors for just $10. They’ll keep your information from falling in the wrong hands, and they’ll help keep your phone’s enormous screen from cracking on the pavement. Older iPhones need screen protectors too. Luckily, JETech sells a privacy screen protector that can fit the iPhone 7 and 8. 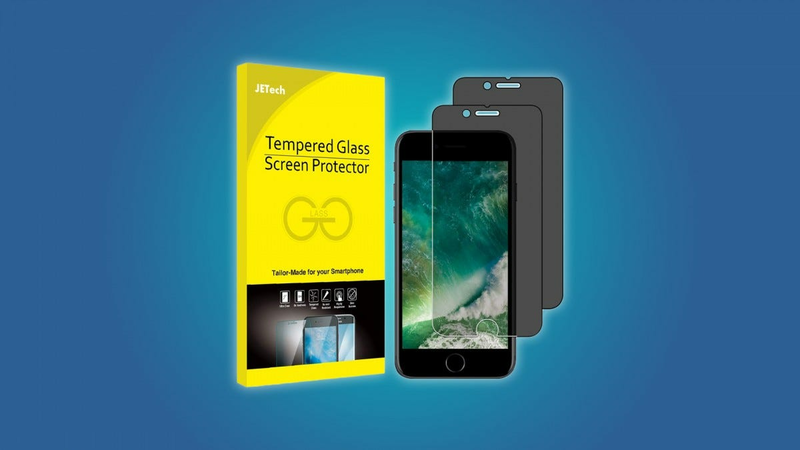 It’ll keep hackers out of your business, and since the JETech is made of tempered glass, you won’t have to worry about your screen cracking into eggshell-like pieces. Since the JETech privacy screen protector comes in a two-pack, you can probably find somebody to share your extra screen protector with. If you’re still rocking the iPhone 6 or 6S, you can grab a pack from the same company here. Still holding onto that old iPhone? Keep up the good work! You’re saving a lot of money, and you’re driving manufacturers crazy. Rub it into their face a bit by using a Tech Armor privacy screen protector. It’ll keep visual hackers away from your sensitive information, and it’ll protect your screen from any hard falls or scratches. 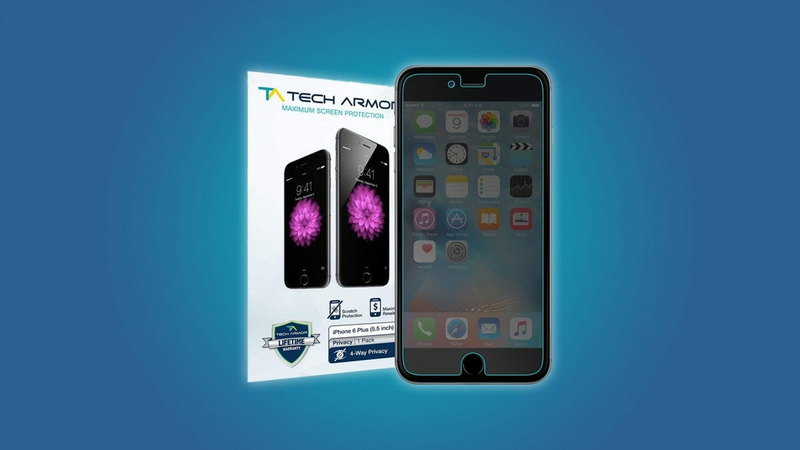 Keep in mind that this Tech Armor privacy screen protector is just a plastic piece of film, it isn’t made of tempered glass. But hey, a plastic screen protector is better than nothing, especially when it can protect your privacy.